This morning when I read in The Writer's Almanac that today is artist Mary Cassatt's birthday, my mind fondly recalled Harriet Scott Chessman's exquisite portrait of Cassatt and her sister Lydia. The small novel explores Cassatt's artistic development in vignettes aligned with paintings of her sister, her favorite model. Ten years ago when I read the novel and used it in two of the book clubs I lead, I watched as it led many to escape the doldrums of the aftermath of 9-11 and enter the realistic world of the Cassatt family and their life in Paris in the late 1870s and 1880s. The novel would be worth reading simply to learn of Cassatt's complicated relationship with Edgar Degas and the other artists of the impressionist movement. It would also be enough just to learn about Lydia's life and her struggles with Bright's Disease. My book clubs had complex conversations about the role of women in history and about the continued lack of respect for women's art today. The physical beauty of this small treasure makes it a book that begs to be purchased in hardcover and cherished. It also lures the reader into considering relationships and while it would be simple to point, click and purchase over the internet, I'd advise picking up the phone and calling or visiting an independent book store to have a conversation about why you want to order it in hardcover. If you don't have a relationship with a bookstore, click here to find my favorite store in Petoskey, Michigan or here to find an independent near your home. Summing it Up: Read this gorgeous novel to fall into the life and times of Mary and Lydia Cassatt in Paris, to learn about impressionism and to explore what it meant to be a woman artist over 100 years ago. Most Americans today are certain in their beliefs about why people are gay, whether they should marry and whether the Bible condemns homosexuality. But most Americans rarely, if ever, talk with those who disagree with their beliefs. Picoult’s novel attempts to connect readers with gay and lesbian characters and with characters that consider them to be an abomination. In doing so, Picoult offers readers a chance to learn arguments about both sides of the question and thus provides a book tailor-made for spirited book club discussions. This novel also breaks new ground as it includes a CD of songs that are “sung” in the voice of the main character, a music therapist. 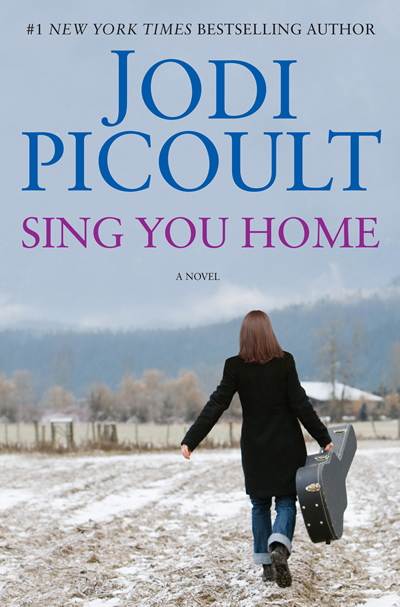 Picoult wrote the songs’ lyrics to correspond to the mood and voice of the chapters as they evolve. This allows readers to get to know the main character in a new way. It didn’t resonate with me but my guess is that many will enjoy it. Summing it Up: Read this book no matter what your beliefs are about gay rights. It’s a page-turner that will get many people talking. 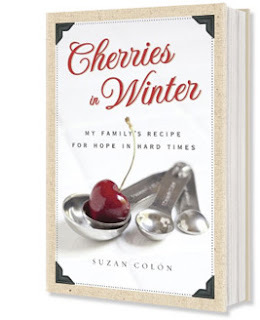 Cherries in Winter: My Family’s Recipe for Hope in Hard Times is the perfect antidote to worrying about today’s economy. Suzan Colón is no cockeyed optimist; she’s a realist who began cooking when she lost her job. She thought about what her Nana did during the depression and began turning lemons into lemon pie. Colón cooks up happiness along with soup, meatloaf, cookies, and other healthy yet inexpensive recipes. This is a joy-filled journey to accepting what you have and not lamenting what might have been. Colón couldn’t have children but that didn’t stop her from handing down her family’s legacy to those lucky enough to read her book. Summing it Up: Read this tasty memoir when you need an escape. It’s filled with joy, hope, recipes and truth. This imaginative story, set in 1964 London, begins when Esther Hammerhans, a librarian in the House of Commons, welcomes a new lodger. 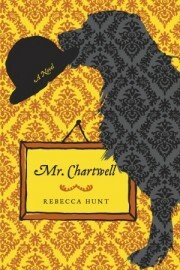 It’s Black Pat, as Mr. Chartwell prefers to be addressed, “a black dog,” a dark presence trying to enter Esther’s world. Esther finds him witty and charming but also annoying and smelly yet she may want him to stay. Black Pat’s a specter but he seems completely real to Esther. Meanwhile just before his retirement from Parliament, 89-year-old Winston Churchill awakens to Black Pat visiting his bedroom as he’s done for many years. Black Pat is the black dog of depression that’s hounded Churchill for much of his life. Esther, still grieving the loss of her young husband, is ripe for the seductive powers of depression in this original look at the grip depression holds on so many. Esther’s friends recognize her grief and a new co-worker offers companionship and a silly sarcasm that awakens her but is that enough to stave off the black dog? Esther is called to Chartwell, Churchill’s home, to take dictation for his retirement speech. That it happens to be the anniversary of her husband’s death is a coincidence that works in author Hunt’s apt hands. Will Esther and Churchill help each other or will the black dog prevail? This novel will make readers laugh out loud at the irony and clever bon-mots that the bête noire utters. Then within seconds, the careful layering of the descent and struggles the characters endure as they fight their depression will have readers close to tears. Rarely does such a singularly original novel have such charm and universal appeal. This tale is supremely engaging yet it will make readers ponder why some master darkness while others succumb to it. Readers that love language and dry, dry humor will find that the wittiness makes the darkness palatable. Black Pat’s ebullient character actually makes the mine field of depression captivating and he seems ripe for a movie version. One question this book raises is whether people who suffer depression would want to read this and if they did could it help them. A lay person shouldn’t answer that question yet somehow the sensitivity of this novel makes it seem that it might be welcomed by those with depression or those hoping to understand them. Summing it Up: Read this original and inspiring debut novel that shows the odd connection between Winston Churchill and a young librarian for the imaginative language, humor, and perceptive look at the world of depression. Lost in Shangri-La: the Epic True Story of a Plane Crash into the Stone Age is the page-turning true story of a 1945 accident in a remote New Guinea valley inhabited by natives thought to be cannibals. Upon the discovery of the valley, Col. Ray Elsmore, commander of the 322nd Troup Carrier Wing of the U.S. Army Air Forces, led several fly-overs to show this valley, dubbed “Shangri-La,” to the men and women under his command. One such sortie ended in a crash leaving only three survivors. Using journals, logs and photographs from the survivors and rescuers, Zuckoff weaves a story that seems more like fiction than the accurate historical account that it is. The book is at its best when telling of the three survivors and the grace and courage they exhibited just after the crash. Margaret Hastings, a 30-year-old WAC, whose burns and gangrene seemed unbearable, endured pain and hunger with kindness and humor. Her journal entries about the flight, the crash and the natives that befriended them vividly portray the incident. Kenneth Decker, a tech sergeant with a severe head injury, burns and gangrene, is a profile in courage and Lieutenant John McCollum provides the cool, strong, yet compassionate leadership that saves them. Adding to the flavor of the tale is Zuckoff’s even-handed depiction of the rescuers including heroic Filipino-American medics Doc Bulato and Rammy Ramirez that tenderly cared for Hastings and Decker’s injuries. Zuckoff also shows the natives as multi-dimensional not as the media and rescuers expected them to be. Zuckoff carefully depicts the naiveté of the officers and pilots as they venture into enemy territory on a joy ride yet he never editorializes on their decisions. He explores American chutzpah with word pictures that demonstrate the views that were prevalent in 1945. The bonus epilogue offers an intriguing view into the lives of the natives, survivors and rescuers after the war. It also makes the reader ponder the sociological implications of the events. Summing it Up: Read this book to learn about survival and a daring rescue in the jungles of New Guinea near the end of World War II. Enjoy the cinematic, yet realistic, portrayal of the men and women who crashed, those that saved them and the natives they got to know. “’Lost in Shangri-La’ is a movie waiting to be made.” – BookPage. 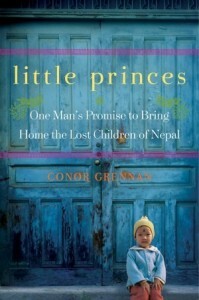 Little Princes: One Man’s Promise to Bring Home the Lost Children of Nepal is a charming and thought-provoking narrative about a 29-year-old and his travels around the world including his three-month stop in Nepal to volunteer in an orphanage. Grennan acknowledges that the orphanage stint was something that would impress girls and look good on his resumé. He never expected to fall in love with Nepal and a group of orphaned kids. When Grennan met seven children that had been stolen from their families by traffickers he vowed to find them safe and secure homes. His subsequent travels and his commitment to the children are commendable but the thing that makes his story sing is his joy in the journey. His brushes with kind strangers, parents that give up everything for their children, kidnapping, corruption, absurd regulations, and Maoist rebels that control vast areas paint a balanced portrait of Nepal as well. Connor Grennan loves “his” kids and the joy and fun he has with them is contagious. The way the kids tackle him and play games with him illustrates that children are the same everywhere. Grennan’s treks to find the children’s families, his sacrifices and his always infectious optimism make this a book that both informs and delights. Toss in a long distance romance after Grennan meets and instantly falls for a woman who makes a brief visit and his search to find his Christian faith while honoring and appreciating the Buddhists and Hindus in his midst and you have a whale of a story. A portion of the profits from the book go toward Next Generation Nepal (NGN) that Grennan founded to help reunite Nepalese orphans with their families. Summing it Up: This book will inform and educate you about Nepal while making you smile. If you liked Three Cups of Tea, you’ll love this charming and caring view into the lives of children in the mountains of Nepal. This would also be the perfect book to interest teens in reading and in learning about the world. Even “reluctant reader” teenage boys would enjoy Grennan’s adventures. It would be almost impossible for anyone reading Siobhan Fallon’s gripping interrelated short stories to escape without asking what to do to respect, understand and support our military and their families in the suffering and life-altering experiences they bear for us. Bearing witness means experiencing the life of another then taking compassionate action. Fallon’s tales weave a tapestry so colorful and with such intricate detail that they force the reader to become a part of the Fort Hood, Texas community. 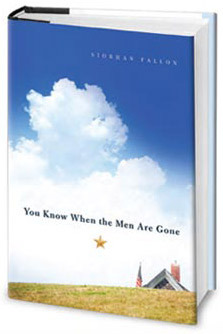 The question the reader must ask after finishing this book thus becomes, “what should I do to support these men and women and their families.” When a work of fiction makes the reader feel compelled to mail copies to the Pentagon and to the President and Congress, it has hit the mark. Regardless of political leanings, everyone must read this book to understand just what we are asking our soldiers to bear in our name. To use the word insightful to describe Fallon’s keen perception of both those who return from horror to those who lose the ones they love would be a gross understatement. Fallon’s stories are perspicacious, that is, they are both discerning and acutely perceptive. Fallon paints word pictures that are tight yet so vivid that they make the scenes glow in Technicolor. In the story “Gold Star,” Josie Schaeffer is driving around the commissary parking lot looking for a space. “She had forgotten it was payday.” That sentence foreshadows what’s to come when “Checking her watch again, she finally pulled into the empty Gold Star Family designated spot in front. She waited a moment, peering at herself in the mirror, composing her face into what she imagined an ordinary face looked like, tugging her mouth into a smile but then giving up. She knew the spouses walking by with their loaded carts were hesitating, trying not to stare into Josie’s window, trading lifted eyebrows with the other women passing.” This is the mark of an exceptional writer; she shows us who and what Josie is instead of telling us. Thus the reader enters the life of a Gold Star widow and begins to perceive what her world encompasses. Fallon details the quotidian sounds of the ordinary on a military base – the thump of boots stomping and of “football games turned up too high” followed by the relative silence after massive units ship out. She presents the fears of the women left behind – not just fears of husbands that might be injured or killed but fears that they might find comfort in another woman’s arms. She inserts the reader into the trauma of the “lucky” ones who return looking like they haven’t been damaged. Fallon demonstrates the psychological toll of Iraq and Afghanistan with the impact that Tim O’Brien brought to the Viet Nam War in The Things They Carried. She forces the reader to look beyond the headlines yet she does it in such a sensitive and tender manner that it’s bearable. This book is not depressing; it is realistic and compassionate. It’s also something of a page-turner which seems like an oxymoron as the reader must ponder what’s read. But it’s so compelling that you simply can’t wait to see what happens next so thinking about what happens takes place as you put down the book. It haunts you as you brush your teeth and for months after whenever Afghanistan or Iraq flash by on your television screen. It’s surprising that this is Fallon’s debut as she’s such a polished and wise writer. She’s used her experiences living at Fort Hood while her husband, an Army major, served two tours in Iraq and has translated them in to something universal that’s a gift to all readers. Many book clubs don’t select short stories for discussion as they find it difficult to discuss a variety of plots. This collection of interrelated stories would be exceptional for book clubs as there are so many challenging topics to explore and as the stories are all related by place and by military service. Summing it Up: Regardless of whether you ever read short stories, you must read this book. Yes, it’s sad; yes it’ll make you ponder things that aren’t easy but in the end you’ll be thankful that you shared this tender experience. This book will change you; it probably won’t change your political beliefs about war but it will change your feelings about those who serve to preserve your safety.